On Saturday, October 27, Inter Com.It.Es. – a meeting of all Com.It.Es. Presidents of Australia – took place at the Italian Language Centre, in Newmarket. Senator Francesco Giacobbe and the Italian Consul for Queensland & Northern Territory Ludovico Camussi were also present at the meeting. The meeting provides a forum for state presidents to share information about the diverse Italian communities across the country. Topics discussed included Italian media in Australia and current and evolving language networks. It was agreed across the board that that the Com.It.Es. 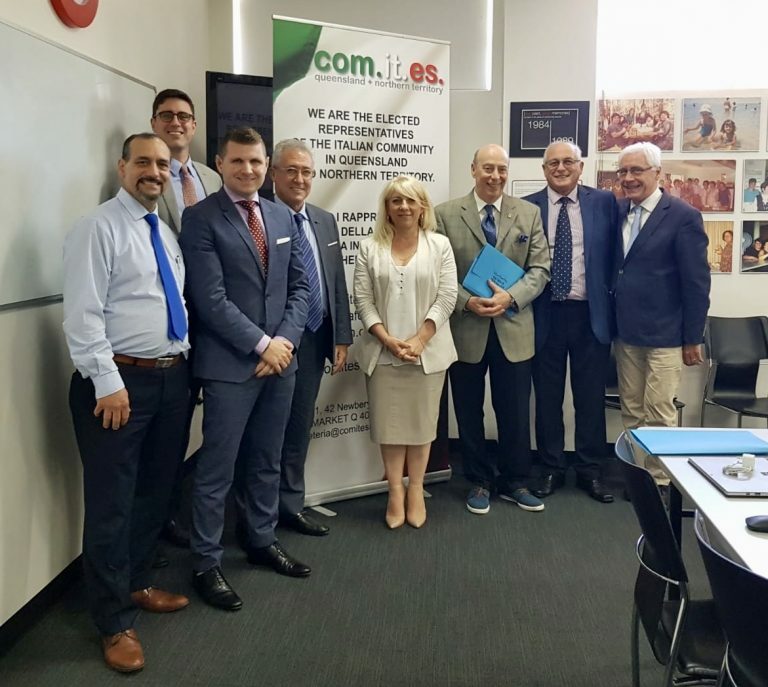 of Australia continues to support funding for the maintenance and improvement of the promotion of Italian language and culture through the Ente Gestori and Dante Alighieri networks. Com.It.Es. Australia consists of six elected state bodies: South Australia, Canberra, Queensland & Northern Territory, Western Australia, New South Wales and Victoria & Tasmania. The elected bodies are enacted by the Italian government to represent the needs, desires, hopes and aspirations of the diverse Italian communities across the country, and advise the Italian Government authorities and relevant stakeholders on ways of responding to these needs. As of January 1, 2019, Mariangela Stagnitti, President of Com.It.Es. QLD & NT, will step up to the role of President of Inter Com.It.Es. The next meeting will take place in early 2019.